Over the years we have been called out as emergency plumbers for jobs in Morley, Churwell and the surrounding areas on numerous occasions. We do everything from blocked sinks, Outside Drains and Gas Central Heating Systems to broken or frozen pipes and each time giving our customers complete satisfaction with our work. 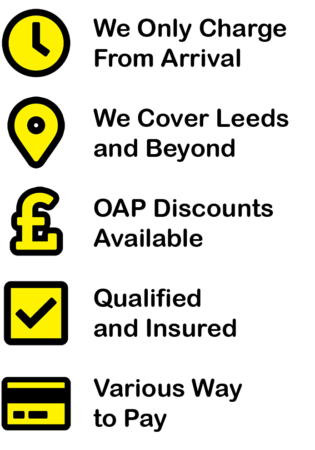 We never charge a call out fee, therefore you only ever pay form the time we arrive. Our hourly costs do never change, while other plumbers may have a higher rate outside of working hours, and you can call us any day of the week at any time. You Can Also Call us for Non-Emergency Work! For anything not so urgent we can often be there the same day for Morley, Churwell and other towns and suburbs in Leeds, and for emergencies we aim to be there within an hour. 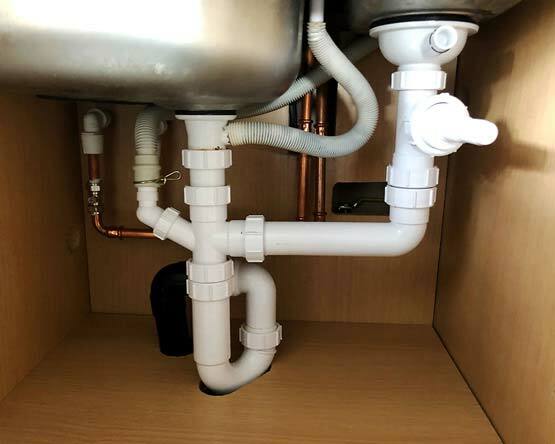 Our plumber has all the most used parts and tools needed for the most common general plumbing work so we can usually do a permanent fix there and then on that one visit. Mr H. Hashemi in Morley had a tennant leave one of his properties in a terrible state, including a patchwork of various pipes held together with putty under the kitchen sink. This was a DIY plumbing nightmare we we’re happy to rectify with all new fittings. If you’re looking for a plumber outside of Morley we cover many suburbs in Leeds and further afield throughout West Yorkshire. There may be times when we don’t happen to stock a particular part needed for the job. In these cases we can often source the required parts quickly and still complete the work the same day. As with our Emergency Plumbing there is no call out fee for general plumbing work or for things such as gas combi boiler and Water Heater Repairs. All worked carried out by a qualified and fully insured plumber and Gas Safe Register engineer. With more than 25 years of experience in the trade we are highly skilled and have a wealth of knowledge. As well as general plumbing work, you can also have EmergencyMan arrange certified safety checks on your gas appliances. All of the work carried out under EmergencyMan comes with a guarantee. We also care about the service you get even after the work is complete and can come out as a priority should any other issues occur after we are gone.